13 April 2019 (Wall Street International)* — Islamophobia can be said to refer to the way Islam is being alienated in society by other cultures through fear and distrust against people belonging to the Islamic faith. Muslims are often portrayed in an increasingly negative context as witnessed in media, legislation and public debates. Islamophobia | Photo from Wall Street International. Islam is often presented as an ‘isolated culture’ with its own distinct features, which are allegedly incompatible with certain values upheld in Western societies. It is the rise of such a polarizing context that results in growing fear against Muslims, prejudice of other cultures and the ‘us versus them’ paradigm. Although Arabs are a Semitic people like the Jews themselves, the media know that anti-Semitism is banned for the latter but tolerated for the former in the name of freedom of expression. Following the 9/11 terrorist attacks in the US by individuals – who were alien to the West and pretended to be guided by the teachings of Islam – some media unleashed smear campaigns against Muslims. They were depicted as terrorists and extremists supporting a violent and politically motivated Islam. When this assertion entered the public domain, it led to people in advanced societies ostracizing Muslims in the political, social and cultural spheres of their societies. Some Western media claim that Muslims do not respond or adapt to change easily as they supposedly tend to adhere and to preserve their own culture and religious values and dogmas. It is this trait of being backward-looking that accredited Islamophobia as the new and fashionable nemesis. Thus did the concept of Islamophobia dawn with the present Millennium. The wrongful depiction of Islam is used as fuel by xenophobic and extreme right groups as well as lay and populist parties to equate Islam with terrorism. Public statements warn people in different countries to stay away from people who might appear as ‘typical Muslims’. Furthermore, individuals with ‘most wanted’ tags in the West bear Islamic or Arabic names. Muslims are thus often scapegoated as the first suspects to have carried out terrorist and violent attacks targeting Western societies. Some news anchors and politicians also instill fear of “the Other”. It is through the development of fear factors in Western communities that Islamophobia develops and thrives. Furthermore, policies or legislation that indirectly affect Muslims, and restrict their freedom of religion, such as bans on wearing visible religious and cultural symbols and laws against headscarves likewise contribute to the rise of Islamophobia. This legislation creates fear and division among different layers of society. Owing to ignorance and disinformation, people are taught that the Islamic culture has its own distinct style of dressing – such as the use of the hijab – which allegedly puts women in a subjugated and subdued role vis-à-vis their male counterparts. Muslim feminists denounce these allegations as endeavours to take their bodies hostage to political wrangling. Labelling Muslim women who wear the headscarf as submissive, and enacting laws seeking to ban it from public space, is merely a sign of ignorance and of discrimination. How can one address the rise of Islamophobia? It is empathy and not ethnicity that creates a community and lays the foundation for durable peaceful and inclusive societies. In the aftermath of the 15 March 2019 terrorist attacks in Christchurch, New Zealand, the remarkable handing of the aftermath of the attacks by Prime Minister Jacinda Ardern stood out as a shining example of a country expressing empathy welcoming diversity in unity. It offered a template for the world illustrating that the celebration of cultural diversity remains the greatest strength of human fraternity. In times of crisis, it is through enlightened leadership as expressed by New Zealand’s Prime Minister that the darkness of ignorance and hatred can be dispelled. 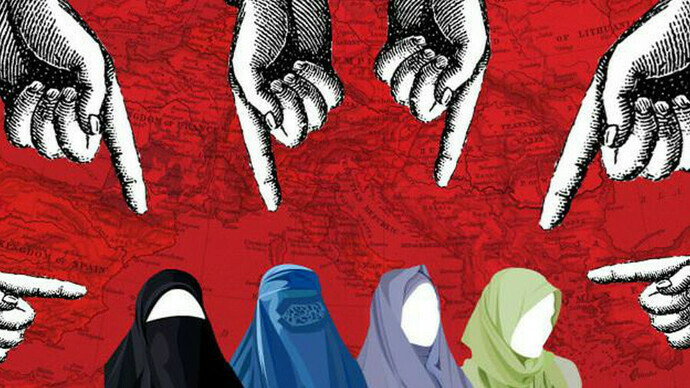 Islamophobia,new and fashionable nemesis | Photo from Wall Street International. Responsibility therefore lies with politicians. Global decision-makers must find appropriate ways to promote an open and inclusive dialogue between peoples and nations united in their moral obligations to stand up to injustice. State policies must aim at creating societies where diversity is respected and where the source of respect stems from values based on basic human rights as reaffirmed in UN General Assembly Resolution 16/18 entitled Combatting intolerance, negative stereotyping and stigmatization of, and discrimination, incitement to violence and violence against, persons based on religion or belief. The promotion of the value of inter-culturalism in societies could be achieved by reconciling diversity with unity. It is important to initiate a global dialogue on how to engage with the rising trend of vilification of one religion and of its followers – yesterday the Jews, today the Muslims – to deter racist and xenophobic acts. In this regard, emphasis must be put on education and the creation of institutions that teach future generations the culture of peace and dialogue. Educators have the power to introduce instant attitudinal change in the upcoming generations: I therefore call upon all educators to provide the correct message on Islam and defuse the wick of Islamophobia. Through education, dialogue between and within societies, civilizations and cultures can be increasingly understood, enabling societies to break down the walls of ignorance and prejudice. Only then will it be possible to achieve durably the objective of ensuring equal citizenship rights for all. As advocated during the 25 June 2018 Geneva Centre initiated World Conference on religions and equal citizenship rights, the promotion of equal citizenship rights could become the silver-bullet to eliminate the fear of the Other and to prevent or foil the manipulation of potential ethnic and religious diversity to stoke conflict within multicultural societies and across diverse nations. 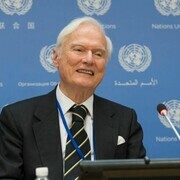 Idriss Jazairy is a national of Algeria. He is a graduate of Queen’s College, Oxford University (UK), of the École Nationale d’Administration (France) and of the Kennedy School of Government of Harvard University (USA). Idriss Jazairy‘s article was published in Wall Street International. Go to Original.